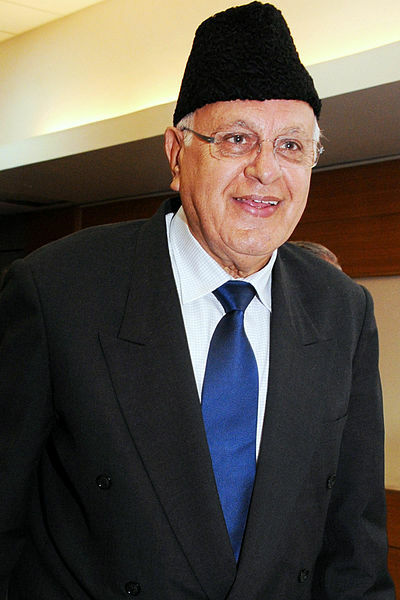 National Conference chief Farooq Abdullah on Wednesday said that his party will boycott the upcoming panchayat, municipal and local body elections in Jammu and Kashmir unless the Centre and state authorities clear their stance on Article 35A which bestows special privileges on the residents of J&K, reported Hindustan Times. NC chief said that in his meeting with the core committee of his party, they had an elaborate discussion on the ongoing condition of the state and especially on Article 35A. He said that if any amendments were made to the article, it will prove unfavourable not only for the state but the whole country. The apex court had earlier accepted the Centre and state government’s plea to defer hearing petitions against Article 35A. Supreme Court shifted the hearing to January after the panchayat and local body elections will be over in Jammu and Kashmir. Additional solicitor general Tushar Mehta, representing the state government had argued that any discussion on Article 35A at this juncture would lead to a law and order situation in the state which is slated for elections for over 4,500 posts of sarpanch and to 1,145 wards later this year, reported Hindustan Times.